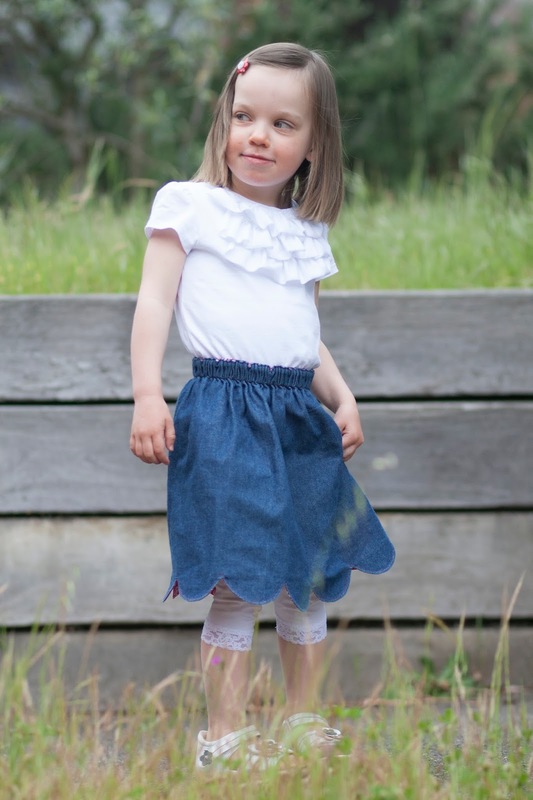 I have had a lot of fun sewing for my daughter during the Kids Clothes Week knowing I was doing it at the same time with many other sewaholics. Thank you ladies for making this week so much fun! I managed to complete five items of clothing for my daughter during KCW. One of them is a part of an outfit I am making for Little Monkey for the Secret Squirrel sewing challenge, I am not going to reveal it until early November. As for the final project, I kept things really simple this time. I jazzed up a white tee following this tutorial by Living with Punks. Both Little Monkey and I love the result. I am so glad Little Monkey's Bluebell skirt still fits her! I do love denim and white together. I think Little Monkey is getting used to being photographed a lot. She is not running away from the camera as much as she used to. She even occasionally strikes a pose! Ah, it is amazing how small projects can be so satisfying! What a fun shirt, I love the ruffles! I totally dropped the ball on the KCW, oh well.. there is always next season! It's amazing the difference a few ruffles make. The whole outfit looks fabulous, Jenya!!! Look at that pose!! That's neat you're doing the secret squirrel too- you always keep me in suspense! 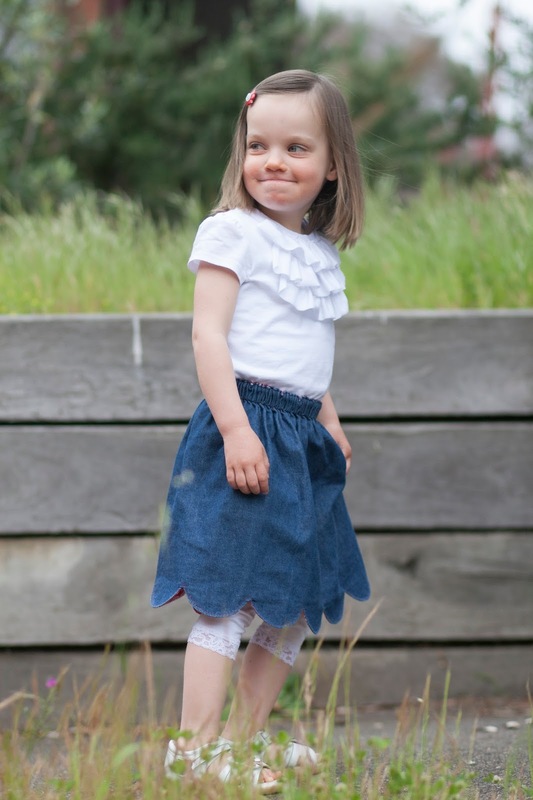 I love her ruffle tee- I'm heading over to see the skirt! What a cute little shirt and skirt! 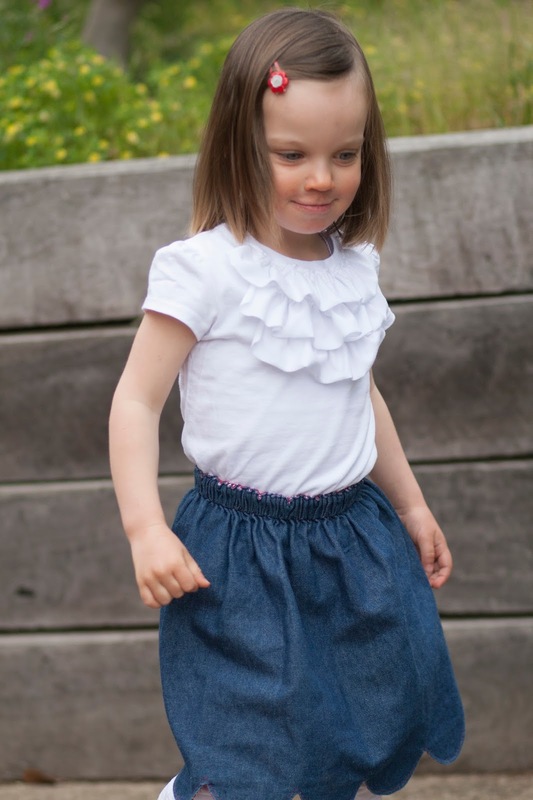 Love those ruffles on the shirt and the scallops on the skirt! Awwwww is a beautiful tee. 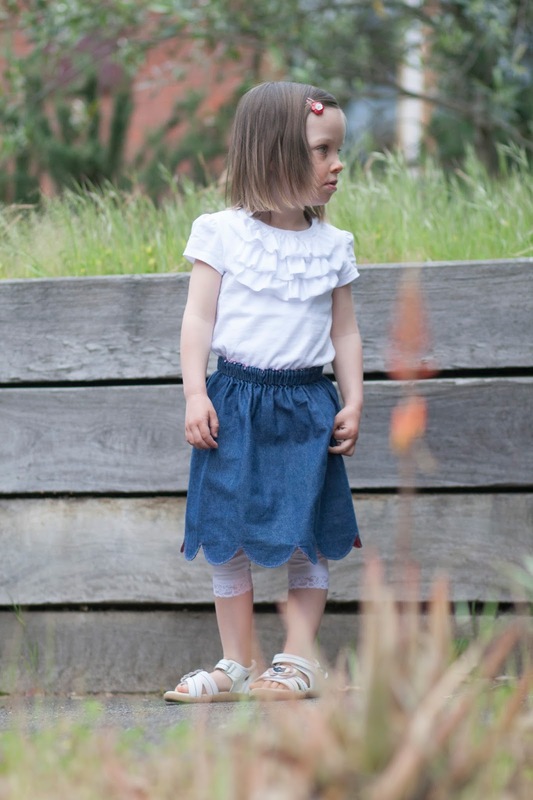 Did you made ruffle sleeves too? Thank you Carolina :) No I only made the ruffles. 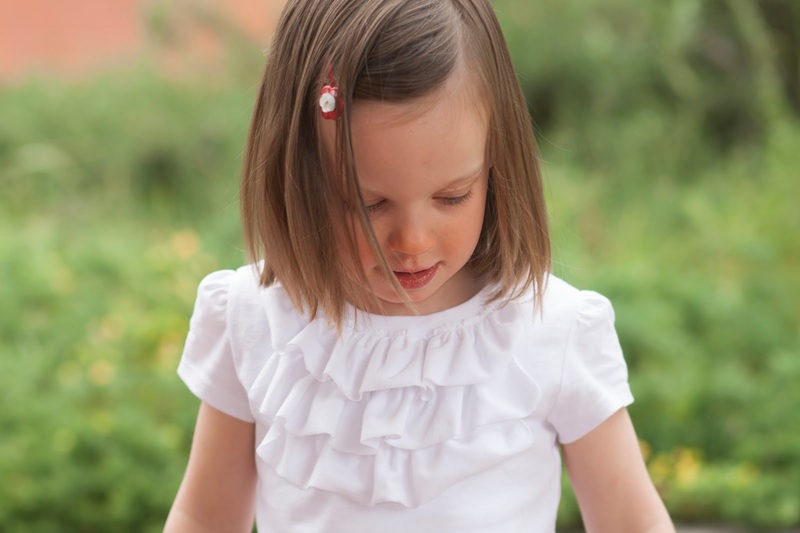 I really like a good ruffle tee :) It's really sweet in the white. Thanks Kate :) Are you are no-reply again?